This is a recipe for another delicious and traditional Danish dish. 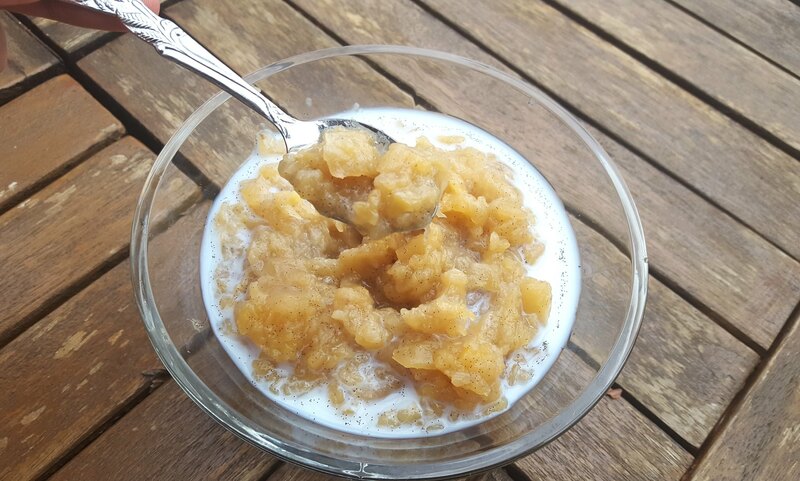 This dish is called Æblegrød in Danish which best can be translated to Applesauce. 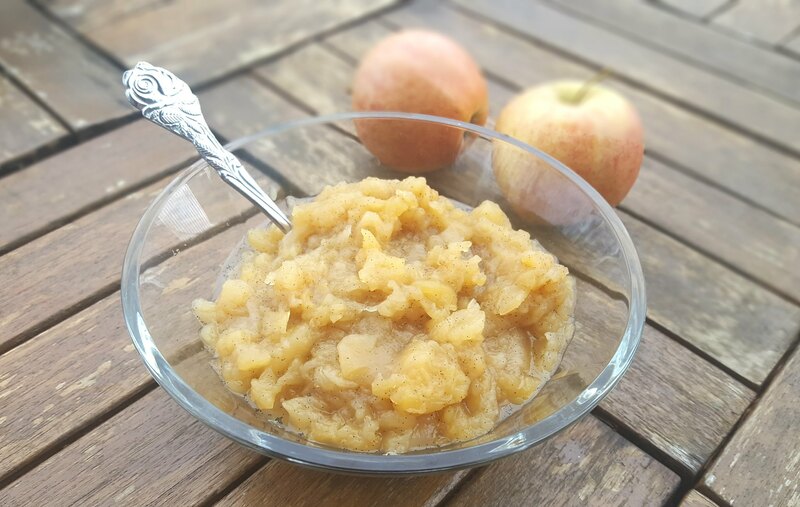 This homemade Æblegrød or Applesauce is super easy to make and it only requires four different ingredients; apples, a vanilla bean, sugar and water. With these simple ingredients you can make a dessert/snack which is delicious and a healthy alternative to most other desserts. 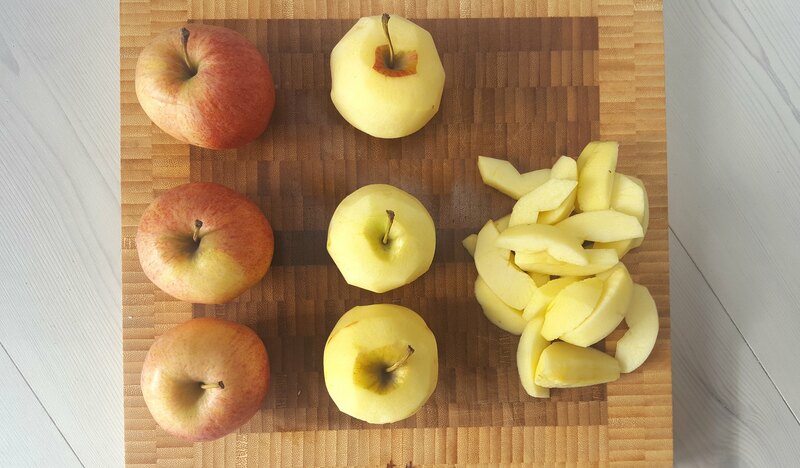 The instructions are super simple; peel the apples and cut them into smaller pieces. 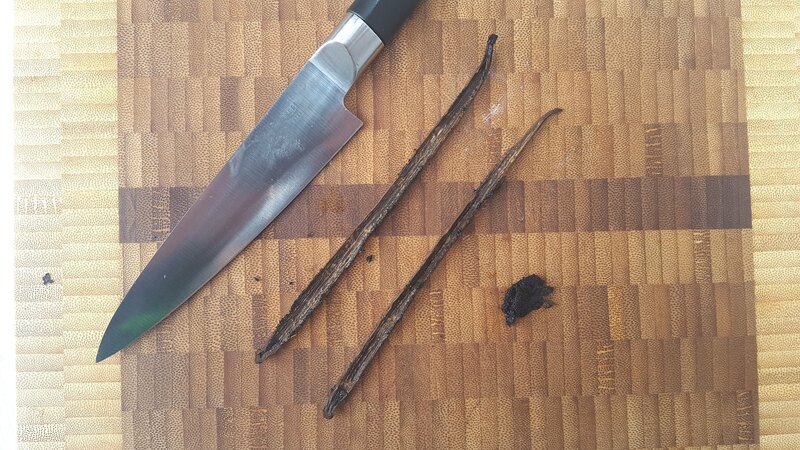 Remove the vanilla seeds from the vanilla bean. You can also use vanilla essence if you prefer that. Then mix all the ingredients in a saucepan and cook it for about 30-45 minutes. The cooking time is very dependent on how you prefer the consistency of the Æblegrød. I personally prefer the Applesauce when it still has small harder apple pieces. However, some people prefer the Applesauce to be completely smooth. You simply just cook the apples until it has the right consistency according to you preferences. The amount of sugar added to this dish is only 1 tablespoon. I personally think this amount gives the best sweetness. However, you can always start with this amount and then add some extra sugar if you like the Æblegrød to be a little more sweet. 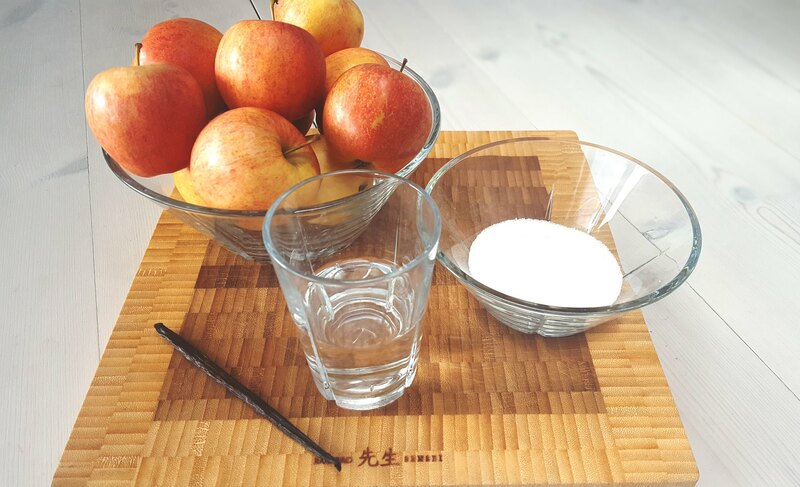 Depending on the sweetness of the apples, the amount of sugar most also adjusted to taste. 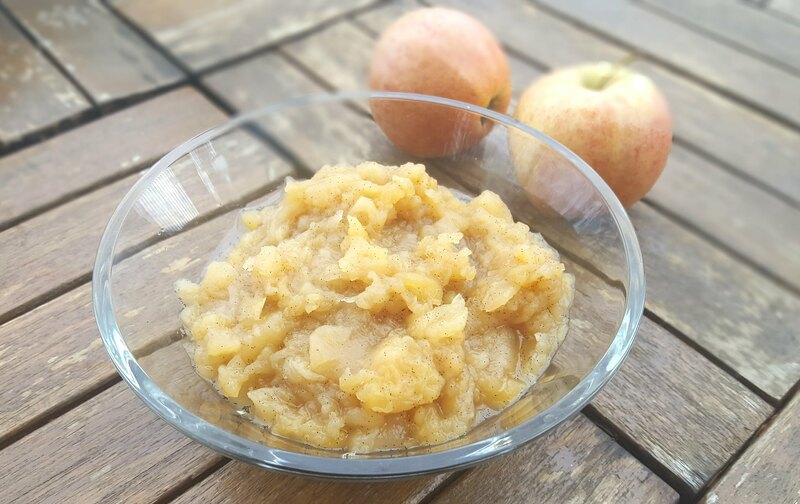 The Applesauce can be served when it is still warm or you can wait until it is cooled down. Serve it with some milk, heavy cream or maybe a scoop of vanilla ice cream on top. Enjoy. 1. Rinse the apples in cold water. 2. Peel and core the apples. Then cut them into smaller pieces. 3. 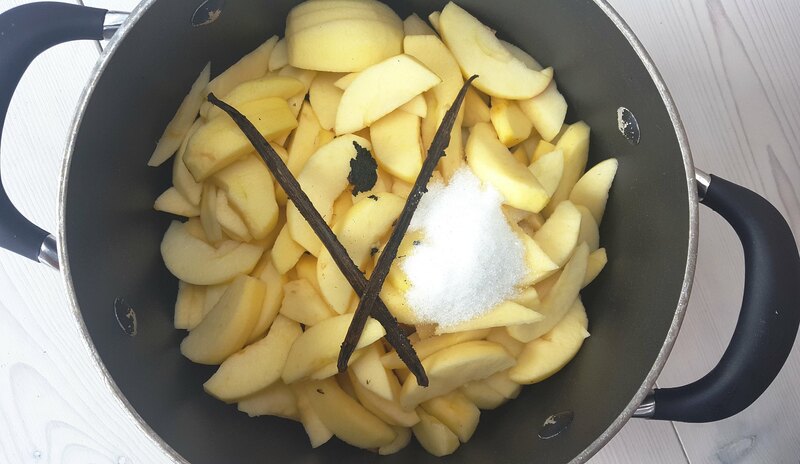 Remove the seeds from the vanilla bean and mix them with the sugar. I have made a small guide how to do this. You can find this in the guide section of this blog. 4. Pour all the ingredients into a saucepan. 5. Cook everything at medium heat for about 30-45 minutes or until all the apples are turned into an applesauce / apple porridge. 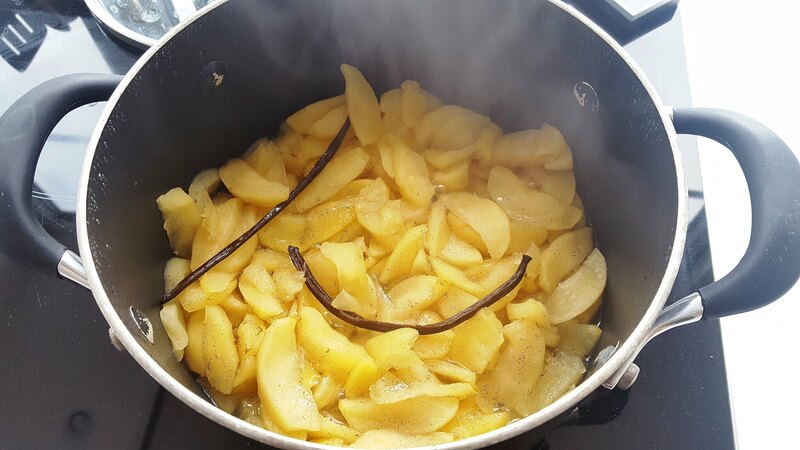 During the cooking; stir from time to time in the apples. 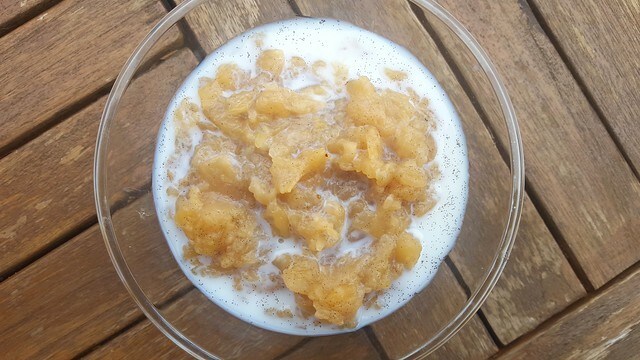 Tip: Serve the applesauce with cold milk or a scoop of vanilla ice cream. This is so delicious. Hi! I’m so happy to find your site. I live in Denmark, but I’m still learning the language, so using danish recipes is still a little difficult for me. When cooking this, do you have a lid on the pot? Hi Beth. I’m happy that you liek my blog. You can cook this recipe with or without a lid. I normally use a lid just to save some energy.